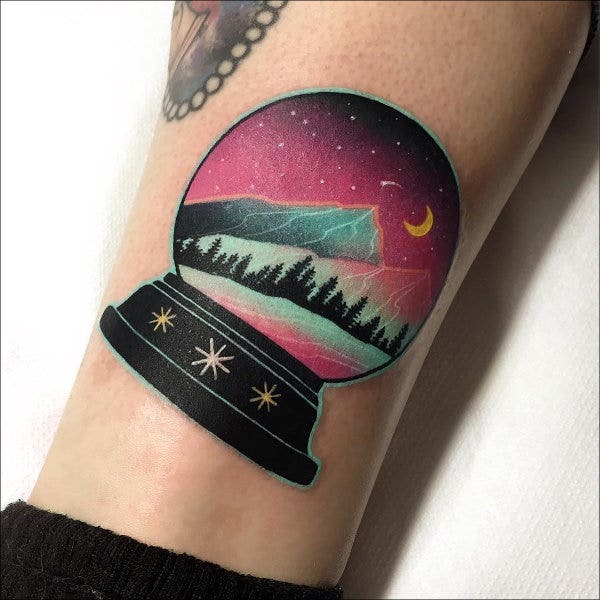 Skin art is an awesome medium of expression and is often used by several people as a way of showing or holding close the things that they find beautiful. 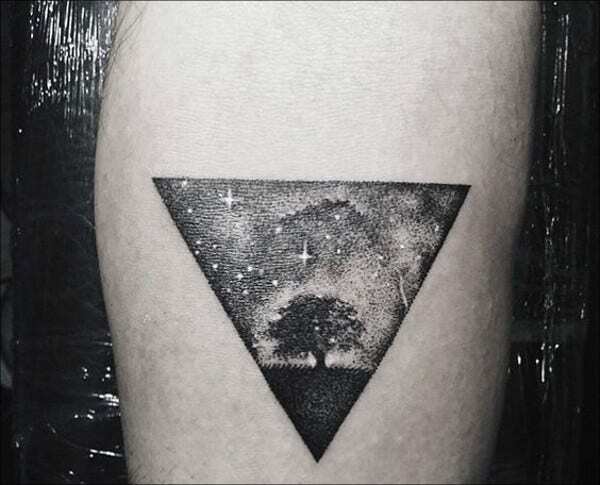 For several night owls out there who love gazing up at the night sky, getting that night sky inked onto their skin is a fantastic expression of individuality and reverence for the quiet nights they’ve spent just watching the stars. In this article are some fantastic examples of how having the beautiful image of the night sky with you can turn out so great. 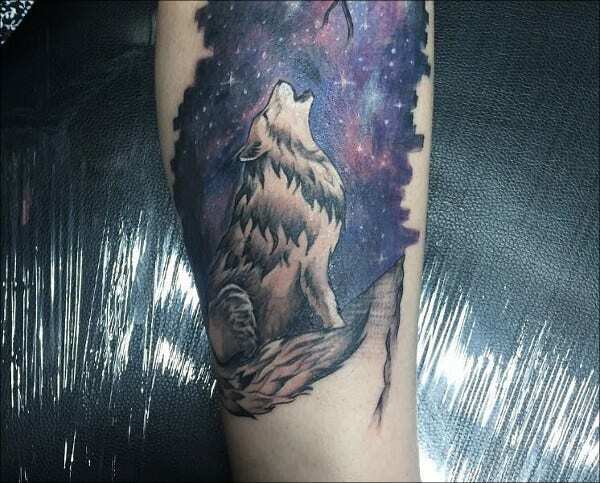 If you’re looking for more examples of skin art, head out to see these tattoo designs for your inspiration. The beauty of starlight against a dark sky is certainly enchanting. 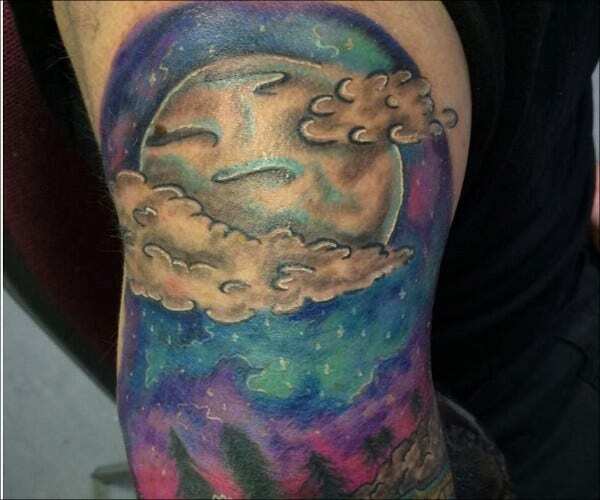 And while we can’t yet have glowing ink—and maybe we shouldn’t, we’ll need to see how that turns out—embedded onto our skin for that same effect, tattoo artists can definitely capture how that feels, down to the surprisingly colorful swirling clouds to the shimmering stars and the bright moon that seems to lovingly look back at you. Of course, there are several ways to approach this. Night skies can mean several different things to everyone: welcomed silence, loneliness, memories of someone dear. There’s always ways to capture that feeling on ink. People sometimes overlook how colorful night skies actually are. How the moon creates those radial moonbows, the way that lights in the distance fill the horizon and spill out unto the dark skies, and even how city lights reflect back at us from the swirling, wispy clouds. 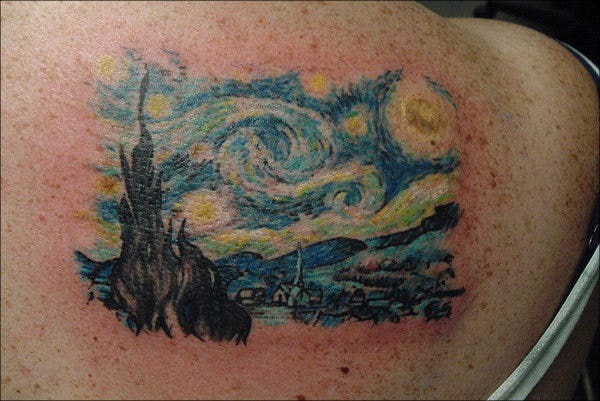 Van Gogh’s The Starry Night, with his postimpressionist art style, gets that right. 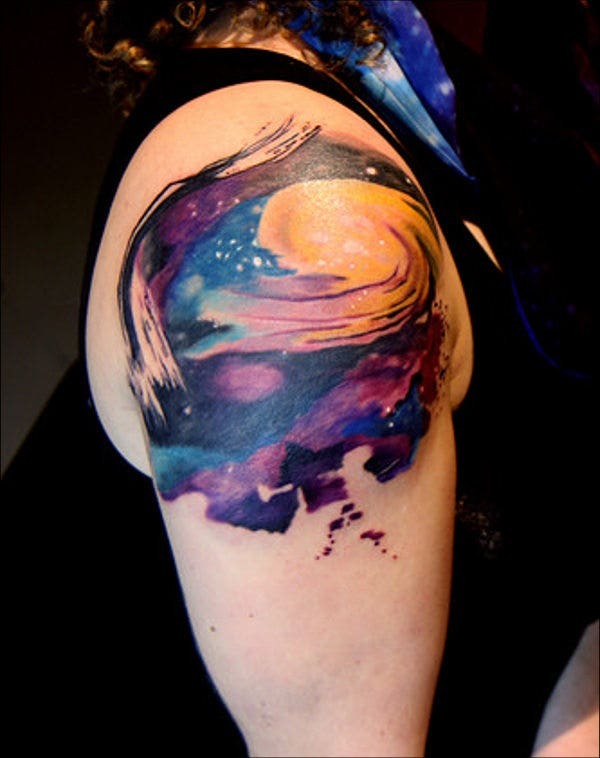 With the increasing use of colored ink, modern tattoos can get the mood and tone right. Because sometimes, it isn’t the night sky itself but the feeling that comes with it. 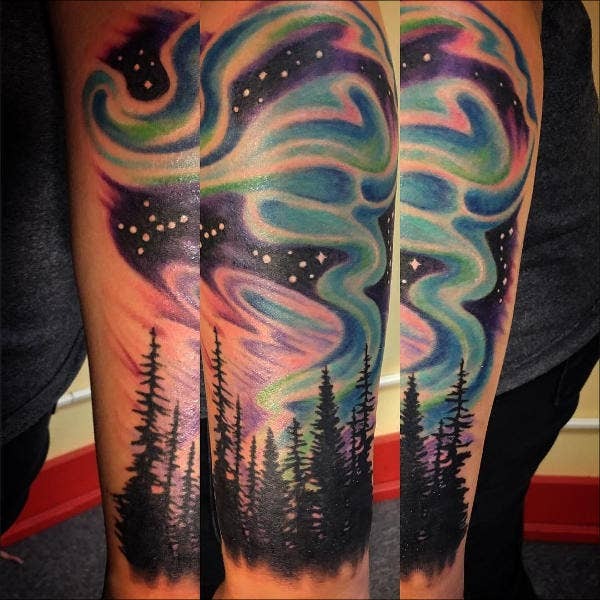 If you want to see other tattoos, check out these arm tattoos for your entertainment. 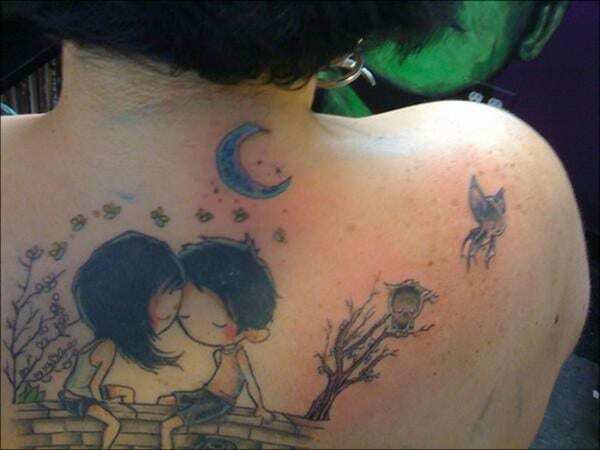 Getting inked is a serious endeavor and sometimes even overplayed and turned into grave decisions. While that may be true for some, the only reason people really need to get one is if they think it will look beautiful. And night skies are some of the most enchantingly beautiful things that occur in nature. It’s something that is understood universally, with meanings and stories behind it for every culture and person. Because of that, it will always be relevant to everyone who sees. 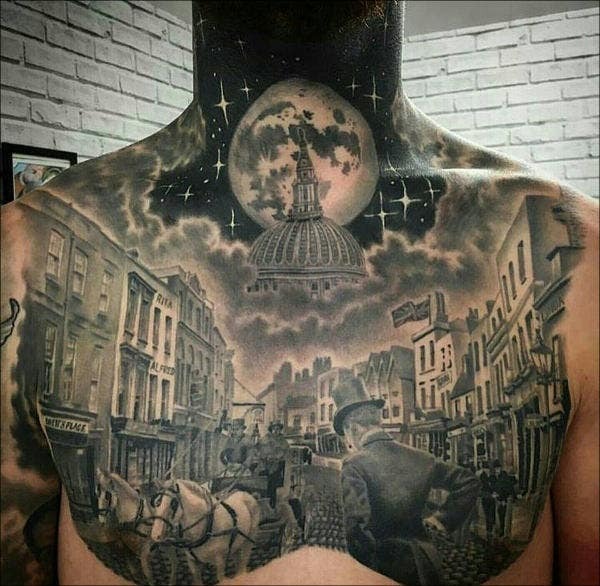 Anyone who has spent some time just gazing up at the night sky can surely find the awesome natural beauty that resides in these tattoos and the people they’re painted on. There’s always more ways to appreciate oneself and adorn one’s skin with something beautiful, the way the colors splash out and blend with each other. Watercolors are some of the all-time favorites of artists who wish to evoke emotion really well. 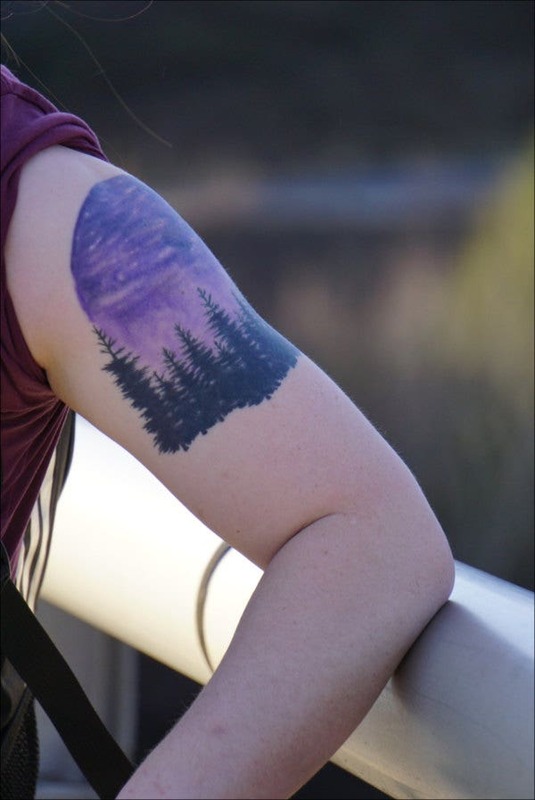 Tattoos are certainly getting around with new ink colors, equipment, and techniques having been developed in the last few decades that watercolors can now be emulated with tattoos. 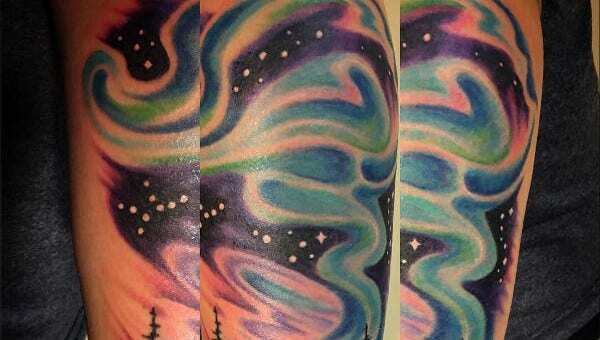 Here are some examples of watercolor tattoos and how wonderfully they could look on skin.